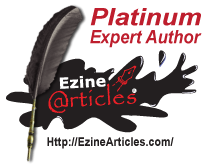 dozen articles on E-ZINE Articles. A click on the feather below will take you there. Once you've signed up for your own Library Card below, you can check out one, or all four of these Media Sell Sheets just for you.